« New Post-Election Edition of Are We the People? New editions have been released for both Are We the People? : How We the People Can Take Charge of Our Constitution and Timely Renewed: Amendments to Restore the American Constitution. 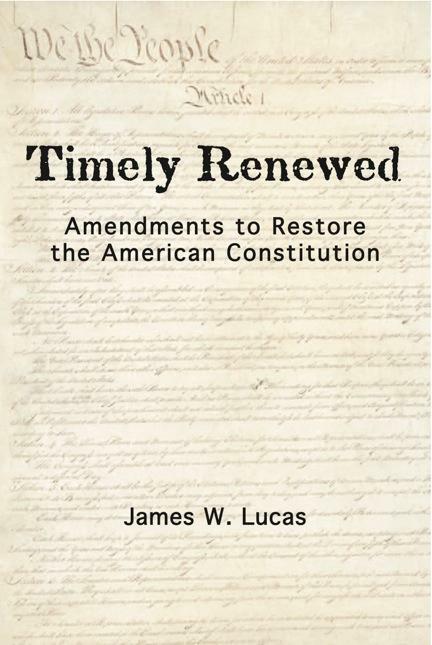 The primary feature of both is the latest version of the Amendment Amendment to reform Article V. After years of research and study, I believe I have refined the proposal to the point where it can address all of the issues which have rendered the amendment process moribund in our times. This latest iteration is on the site, but Are We the People? and chapter 5 of Timely Renewed give detailed explanations of the proposal and why it is so important. I have also updated my article To Originate the Amendment of Errors to explain this refined proposal. However, the new edition of Timely Renewed has other features. The text has been updated to reflect current events, and chapter 11 now has a proposed amendment establishing congressional term limits to go with the existing proposal for judicial term limits. Finally, I have cleaned up a lot of editorial issues which had affected the electronic editions. Both books are available in print and Kindle at Amazon and from Barnes & Noble on Nook.